REPORT: Sarah Palin Is Working To Get Homocon Tammy Bruce Cast On The View As The "Anti-Rosie O'Donnell" - Joe.My.God. The best way on TV to shut up a loudmouth is with another loudmouth. 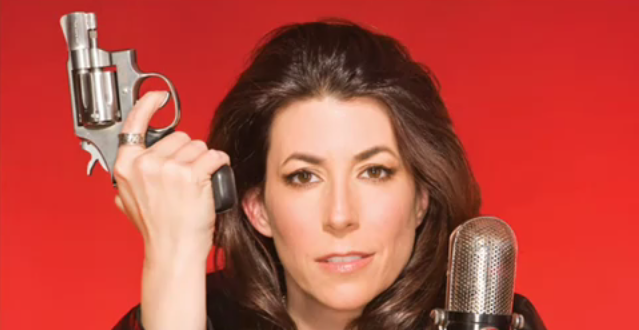 I’ve learned that Tea Party advocate Tammy Bruce – the outspoken nationally syndicated radio show host, author, and Fox News talking head – is being considered for a hosting slot on The View as the so-called “anti-Rosie”. What makes this especially interesting is that Bruce reportedly BrucePalinwas suggested to the show by Sarah Palin. “I don’t think Sarah Palin is being considered to be a panelist on the show. I think she’s working behind the scenes to help them cast the conservative,” an insider tells me. “Tammy and Palin are close friends, and I think they are hot on Tammy because of Palin. They want the show to be politically combative, and Tammy would certainly be the anti-Rosie in every possible way.” Bruce’s website describes her as a “gay, pro-choice, gun-owning, pro-death penalty Tea Party Independent conservative”. I’m told Bruce just had a meeting with ABC about potentially joining the show.